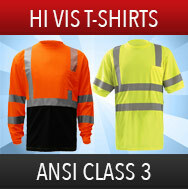 Safety Smart Gear is offering wholesale pricing on many styles of ANSI Class 2 T-Shirts from top brand manufactures. 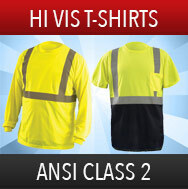 The reflective and high visibility materials provide the user to be seen while working and meet ANSI Class Two standards. 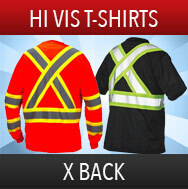 Find styles with moisture wicking, pockets, black bottom and more. 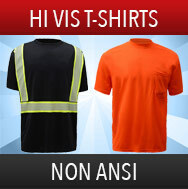 If you are interested in custom printing on any garments, please view the Custom Printing Quote page.